Growing up in landlocked Colorado, Jon got certified to dive at age 12 but dove relatively infrequently during family vacations until 2015 when he moved to California. Over the next 3 years, he developed a strong passion for photographing the ocean and its inhabitants, diving several times a month in the temperate waters Monterey, California. He currently is living with his girlfriend in Mexico and exploring the amazing nearby wonders of the Pacific and Caribbean. Within his first 6 months of shooting underwater, his photos were critiqued by Dive Photo Guide. Since then he has had numerous images place in both the Monterey Shootout and SoCal Shootout. One of his images was selected as the Marine Wildlife Winner for the 2018 Ocean Conservancy Photo Contest. 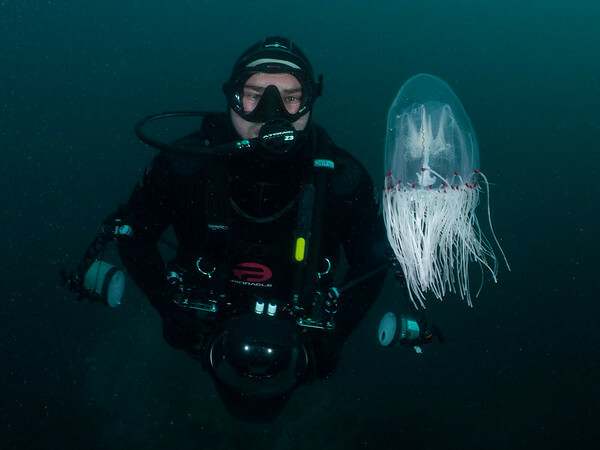 He blogged for the Monterey County Convention and Visitors Bureau about diving in Monterey. Jon currently has numerous publications in the works that will be printed soon! Jon is a member of the Kraken Sports Pro Team and uses their high-quality optics and accessories for making his images. When he is not underwater taking photos, Jon runs his own mechanical engineering consulting firm. He has designed moon rovers, earth observation satellites, delivery robots, autonomous vehicles and a number of other complex robotic systems. 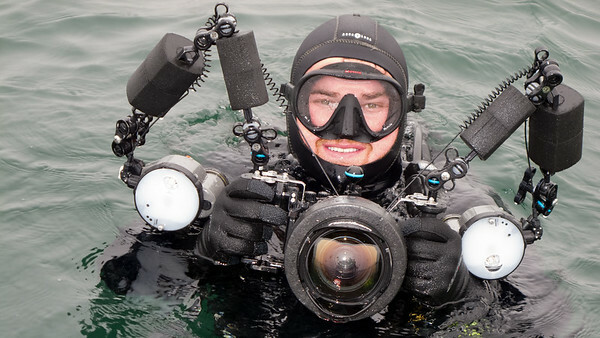 Using his engineering skills, he has designed and fabricated several tools for his underwater photography. Contact Jon for prints, licensing, collaboration, or small group workshops.